Clarke & Severn Electronics introduces a new range of high reliability connectors from Harwin. Harwin has expanded its Datamate range with the introduction of male and female J-Tek crimp connectors featuring extended rear walls. The extended rear walls enable customers to seal the rear of the connector themselves as an alternative to over-moulding, for applications where cost is a major factor. The deeper connector shell also allows customers to fill terminated connectors with potting material, preventing ingress of dust and moisture. The Datamate connector systems are designed to conform to the requirements of BS 9525-F00033 and feature high reliability four-finger beryllium copper contacts that ensure integrity of connection without loss of data. 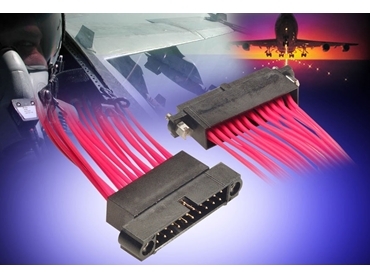 Harwin Datamate J-Tek crimp connectors have been used successfully in the Bowman military radio system, the MBDA Seawolf air-to-air missile, and the A380 Airbus commercial jet. Specialist technical backup is available for the connectors.